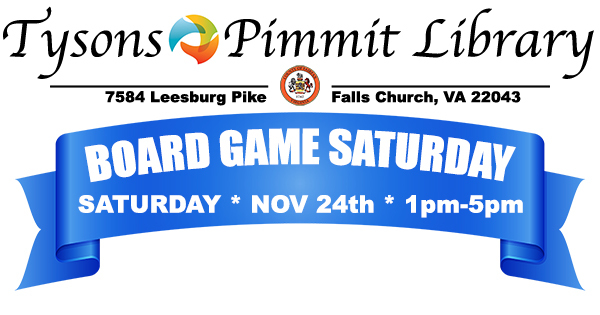 Join us this Saturday, Nov 24th, from 1pm to 5pm at Tysons-Pimmit Regional Library (7584 Leesburg Pike, Falls Church, VA 22043) for Board Game Day! We will bring a variety of modern games, but feel free to bring your own games. The event is free and open to the public. Join us and make some new friends this Saturday!